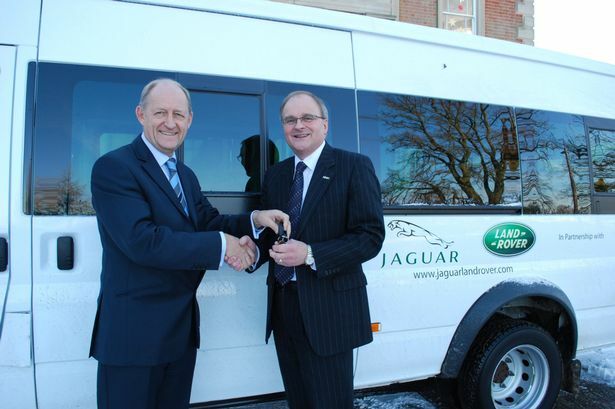 Jaguar Land Rover boss Les Ratcliffe has praised community spirit in Birmingham – saying it is good for business. Mr Ratcliffe, Head of Community Relations at JLR, paid tribute to the people of the city ahead of the car maker sponsoring the Company of the Year category at this year’s Birmingham Post Business Awards (BPBA 2016). “Fundamentally it is people that make a city and it is people who have made Birmingham the exciting and vibrant place that it is today,” he said. The deadline to nominate companies for the prestigious BPBA awards is fast approaching – Friday, July 29. And the Company of the Year category is set to be among the most difficult to judge. Mr Ratcliffe, who will be on the BPBA panel to decide who wins the award, said: “Jaguar Land Rover is a growing company and fully recognises and appreciates the challenges of SMEs and larger companies that require leadership, team working and an enterprise view of doing business. “As BITC Responsible Business of the Year 2013, we can appreciate the challenges that a successful business encounters to become an outstanding company. “We work closely with various stakeholders in the local community. Mr Ratcliffe added that JLR – the UK’s largest and most recognised automotive manufacturing business combining two of the country’s most iconic car marques – has big plans for the coming years. “The future of Jaguar Land Rover looks bright – we are a company with a robust strategy of sustainable growth,” he said. The BPBA 2016 awards ceremony will be held at ICC Birmingham on Wednesday, October 26. The top prize on the night will be the Company of the Year award, which recognises the region’s top-performing business. The winner of this award will have enjoyed a great deal of success and really stand out from the crowd. Once all the applications have been received, the judges will have the difficult task of whittling down the businesses to select three finalists. The eventual winner will be the cream of the crop, demonstrating an innovative approach to business which has lit up the Birmingham business community.